a) Mantella cownii (Harlequin frog) and b) our field team out searching for the aforementioned elusive frogs. a) A skyline in primary rainforest at Mantidia, b) Calumma gastrotaenia, c) Callumma brevicorne and d) the interface of rice fields, tourism and rainforest at the Saha Forest Camp. 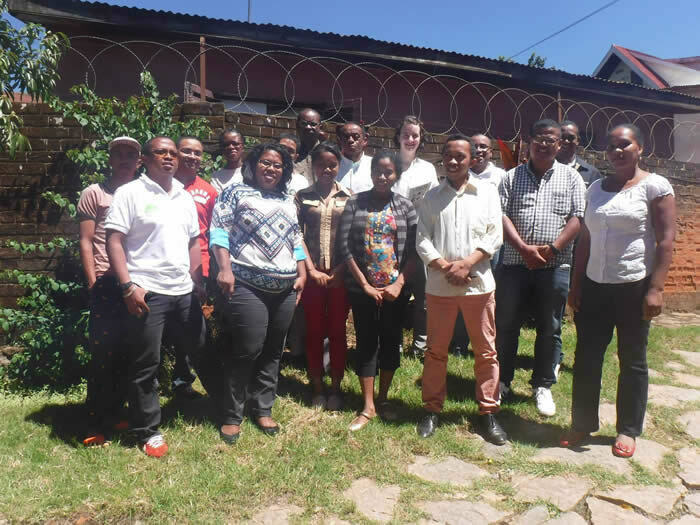 As a recent addition to the p4ges team it has been a great experience to visit Madagascar and work with the talented and inspirational team of young researchers at Madagasikara Voakajy. Madagasikara Voakajy is a Malagasy environmental organisation which carries out environmental, socio-economic and biodiversity research. My role in the p4ges project team is to provide expertise in statistical analysis and R programming to researchers at Madagasikara Voakajy and assist in the publication of biodiversity research papers. The R course I taught was a fast-paced introduction to statistics and programming which covered everything from how to download the software on day 1, to non-parametric models and complex Generalised Linear Models. I also had the opportunity to work one-to-one with researchers developing R code for specific tasks; including calculating population density estimates for lemur species, estimating food resource use by rural communities and calculating diversity estimates for amphibians and reptiles. While I taught the team about R programming and statistical analysis, they taught me about Madagascar, herptology, Baobabs, Tavy agriculture and effective hands-on conservation. A fantastic opportunity for me. I also had the opportunity to visit rainforest areas at Andasibe, Mantidia and Anjozorobe-Angavo. This gave me a chance to see some of the amphibians and reptiles I’d heard so much about from our herpetologists Joshue, Alain, Raphali and Christian at MV. 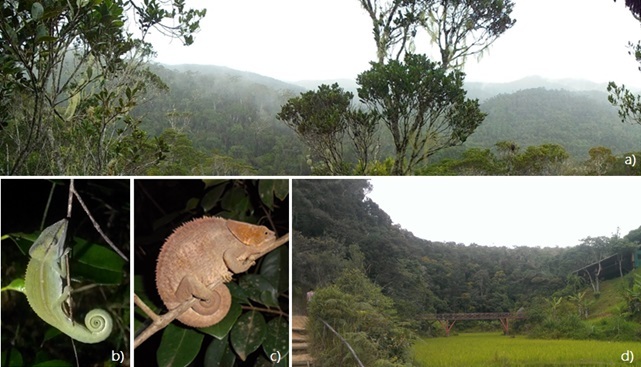 At Anjozorobe-Angavo I stayed at Saha Forest Camp which I would highly recommend to every traveller in Madagascar. It’s a luxurious spot to stay in the rainforest and is run by the Malagasy environmental and development NGO Fanamby. This ensures that the benefits of tourism are integrated into the local community and that tourists have a chance to find out more about Malagasy culture, traditions and wildlife from very knowledgeable local guides.